How to Write a Short Resume? You are here : Resume Writing Service » Blog » Are You a New Tolstoy or How to Write a Short Resume? Are You a New Tolstoy or How to Write a Short Resume? Posted By Nathan On April 18th 2015. Under Blog Tags: how to make a short resume, how to write a short resume, short resume . There’s a very good reason for managing the length of your resume – People simply may not bother to read a long resume. There are better laid out resumes to read instead. Some experts say that a shorter resume is always better. There’s a reason for that logic. If you need to know more, you can always ask. That’s very different from reading a lot of information you don’t need. The common theory is that HR people don’t want to read that much material.Wrong the fact is that a long resume is an extremely inefficient way of applying for a job. You don’t (and shouldn’t) need 5 pages to show that you can meet the criteria of a job ad. The information requirements for a targeted resume on a job application are quite straightforward. If you want to know how to write a short resume, the bottom line is that you must meet these criteria. Some people assume that their work history is a way of showing they match job criteria. It can be, but it’s a very long way around addressing those criteria. A functional resume has a section for skills, and you can address achievements and performance elsewhere in your resume and cover letter. Others claim that a long career and complex work history causes long resumes. No, it doesn’t. Information more than 5 years old is of debatable value in a job application. You only need to supply relevant information, not a biography. A short resume is a lot easier for resume writing and editing. A short resume can use its layout to deliver a lot of information very efficiently. Short resumes are quite flexible and easy to adjust to target job requirements. Short resumes using modern formats are far more successful. Short resumes are more competitive. Short resumes are just plain more efficient, all around. Choose a resume format, preferably a functional resume. Complete each part of the resume systematically. Do not use materials from your old resume. Write a draft of your personal profile, briefly. You’ll need to modify it, depending on the job and your current circumstances. Focus strongly on the skills section, which is a must-read for HR. Create a full list of skills, using a bullet point columns layout to manage space. When drafting your Achievements, experiment with your options. Would you prefer to use graphics? What about standout text boxes? How about a “magazine” layout, using InDesign or similar software? Write an abbreviated draft of your work history, just the basics, “bare bones” outline. You can add to this later when matching job criteria. 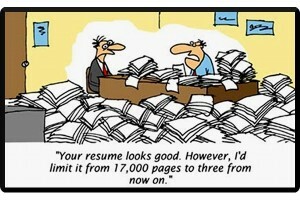 OK- Is your resume looking good, and a lot more readable? It should be. Now fill in the extras and polish up your information. Yes, it really is that simple. 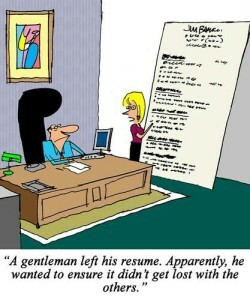 That’s why short resumes are so much better. For more information about short resume writing, see this link. Images are taken from: i.kinja-img.com, pinimg.com, wordpress.com.